There was a spellbinding full moon on this evening. I sat on the ground and got a close up of the tip of a blade of wild grass with my 300 mm telephoto lens. 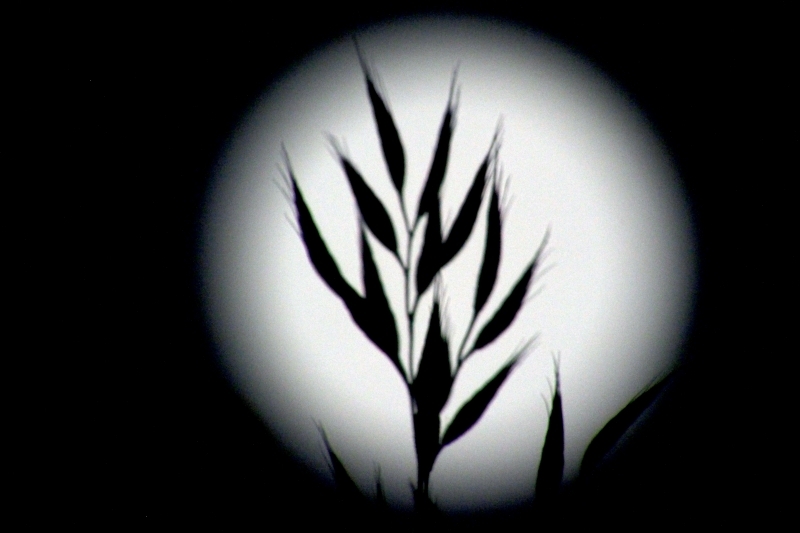 I positioned the grass to be in the center of the full moon, and the moon was bright and blurred. I did minimal processing in photoshop cs5. Most interesting was a slight adjustment in levels which made the edge of the moon more curved. Even though I took this in color it came out like black and white.